My son’s room is injected with sportiveness and playfulness–SO totally him! His sister recently moved into a big girl bedroom. And now, he has his own space to play, read and sleep. Adding a bunk bed, a basketball hoop and a funky, chrome chandelier was all that was needed to define his space. His bedroom was once shared with his sister. It was a bit tricky to create a cohesive space that both a boy and girl would enjoy. Therefore, I factored in their personalities when choosing paint, colors and accessories. 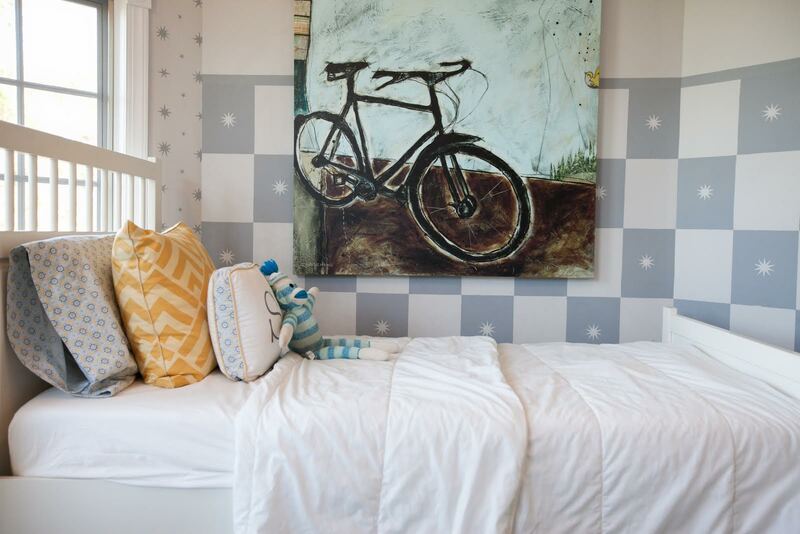 Painting and stenciling the room with a neutral color definitely set the mood. The eight point star stencil infuses a splash of Morocco in the room. Accent colors of yellow and blue compliment the soothing, gray walls. The most fun part was adding character in the room whether it’s personalizing or adding their treasured object: initials of their names on the pillows, a stack of their treasured books and their favorite stuffed animal (a sock monkey for the brother and a Bohemian rag doll for the sister). 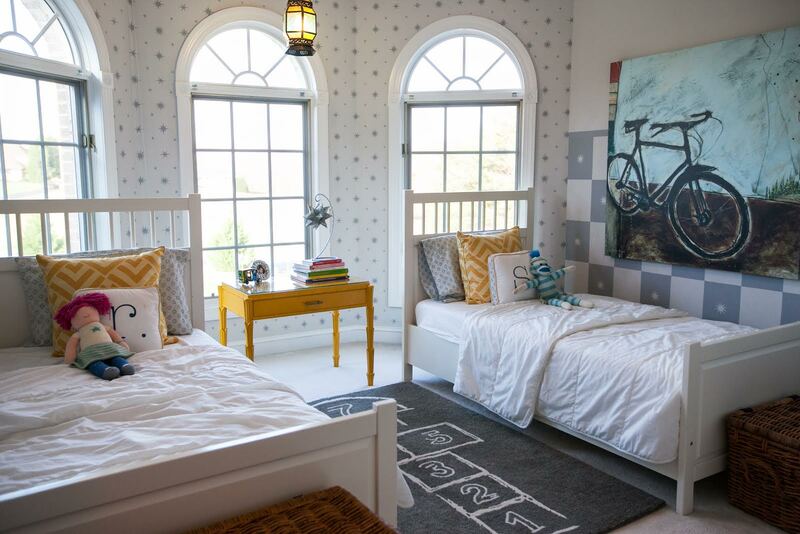 Most importantly, capturing their love of the outdoors is showcased in the space with the hanging bicycle artwork and the non-stop fun hopscotch rug. It was equally exciting to do their room as a duo and now, for my son. ← Can fashion end Hunger?